Data Hold Switch Freezes Reading. Accessories : Test Leads, Carrying Case,Manual, Drop proof wrist strap. Features & Specifications :3½ Digit 1999 Counts Digital Capacitance Meter1 Function 10 RangesTes.. Features & Specifications :3½ DIGIT 1999 COUNTS DIGITAL MULTIMETER + LCR METERProfessional Grade.. 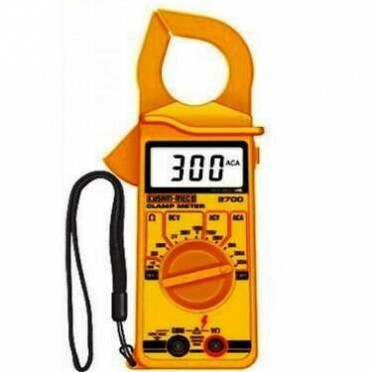 Features & Specifications :Dual Display Autoranging LCR Meter To Measure L, C, R, Q, D - LCR 459..